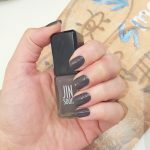 The new JINSoon collection is EVERYTHING, beauty friends. 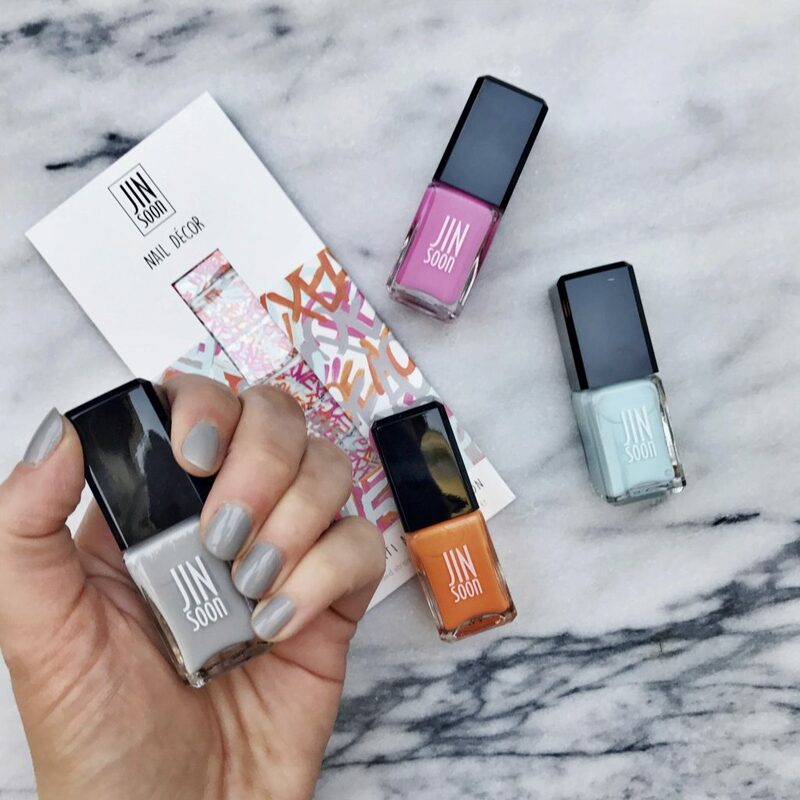 The Jinius Jin Soon teamed up with street artist Chris Riggs to spread the message of peace and love with four new graffiti-worthy nail hues, launching for spring 2017. 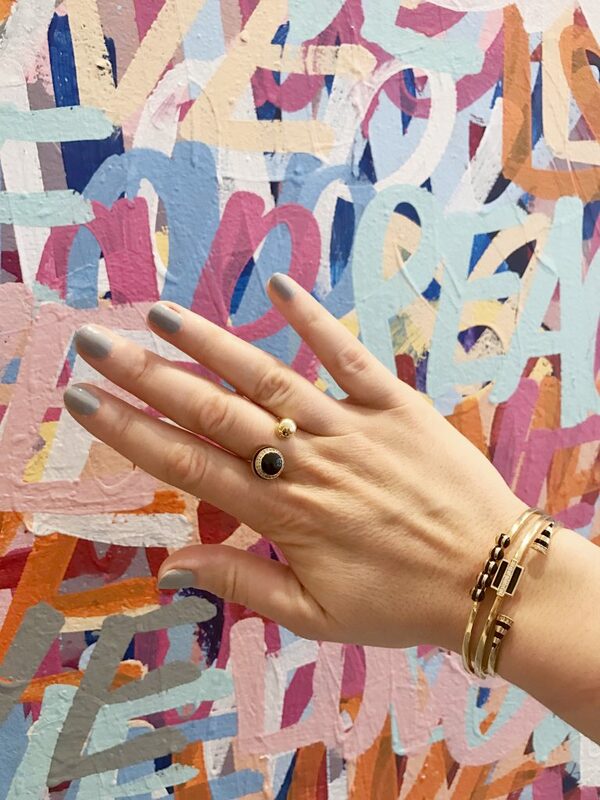 And PS, if you’d like to enter to win a set of the nOir Jewelry I’m donning in the photo above for you and a friend, check out my Instagram giveaway. Grace (Feather Gray) This is the shade I’m wearing in the photo above. There’s also a Nail Decor strip, $12, which features nail appliques made directly from 5-free JINSoon Nail Polish. 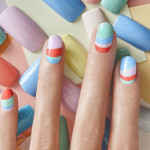 It includes base coat, color, and top coat in one. 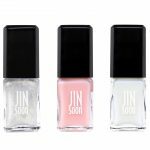 Jin Soon polishes retail for $18 each, available at JINSoon Hand & Foot Spas, SpaceNK.com, NetAPorter.com and more. Nice shade of Grace 🙂 I would add some black abstract designs on top of this color. Btw, I like short nails, these look very elegant.